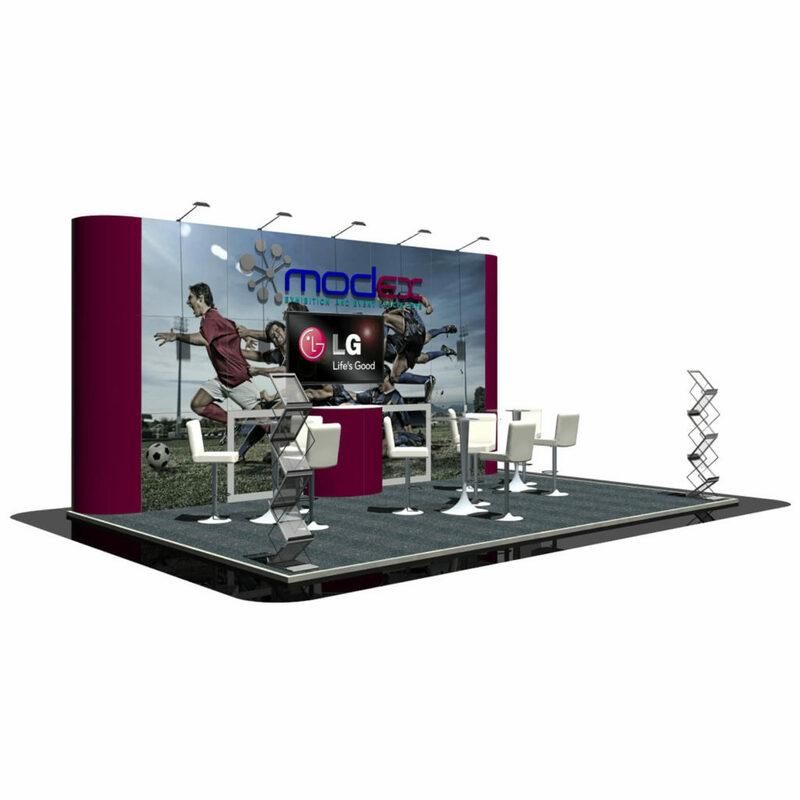 A large and open six by four metre stand that lets the graphics to do the taking. The back wall incorporates 2 lockable cupboards and a large display screen. There is plenty of space for 3 meeting tables for meeting and greeting customers, along with 2 freestanding literature racks.